Lighthouse International, the nation’s preeminent organization for the visually impaired, contacted Mr. Bogle and commissioned SYNCRO to prepare a feasibility study for the redesign of the medical clinic in their headquarters in 2000. This success led to a number of other projects including the remodeling of the Children’s Development Center, a preschool on the 3rd floor of their Manhattan building. Other project services have ranged from existing conditions analyses to construction administration. 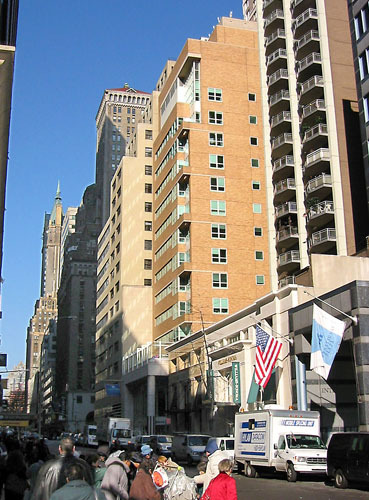 From 1990 – 1994, Mr. Bogle was project architect at Mitchell/Giurgola Architects for the design and construction of the Manhattan headquarters building. Posted in civic and cultural, healthcare and housing, workplaces. RSS 2.0 feed.